Get FREE delivery and FREE snowboard bags with all our snowboards and snowboard packages - alternatively get the bag of your choice at half price. Huge stocks of mens and womens snowboards plus kids or children's and used snowboards all at big discounts cheap in our Sale. Worldwide shipping no problem. Cheapest online - with our famous price match guarantee. Plenty of top brands always in stock but also some of the rarer more specialised brands such as Yes snowboards, Volkl, Head Snowboards, Salomon, Nidecker and even Bataleon. The snowboard of choice for jib riders looking to pull off rad freestyle tricks. Fun & forgiving snowboard aimed for any skilled rider out there, with an award winning catch free profile. 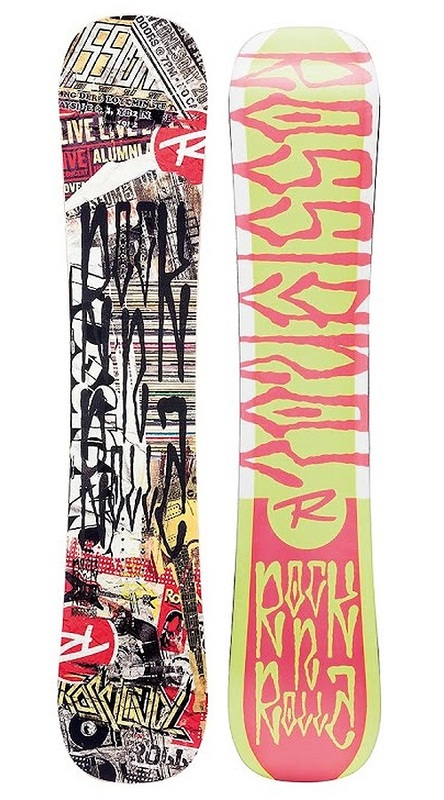 A fun, award winning, freestyle twin women's snowboard that's perfect for beginners to pro's. An affordable All-Mountain freestyle snowboard that will always keep you entertained! Super fun and versatile all mountain snowboard from YES that will do it all. Turn the entire mountain into a park with this Transworld Good Wood winner. Stay optimistic with this boards supreme turning ability, max float in powder and lightning speed on grommers! Packed with premium Rome tech and a powerful fusion camber, sleek and super responsive for laying down lines in all conditions. The all-mountain ladies snowboard designed to keep you happy #smileyface! Pint sized energetic version of the big brother Villain board. Dakine's Circle Mat stomp pad is ideal for any riders wanting a little extra backfoot traction. Packed with all mountain tech & designed to push your riding. Break the mould with the newest all-mountain freestyle snowboard in the Rome arsenal. A twin shape Artist Edition Lobster board with Jib 3BT technology. Mike Rav's signature pro model of Capita's #1 selling snowboard with custom graphics to inspire creativity in the park & in the streets! Johnny O'Connor's take on Capita's revolutionary all-terrain freestyle snowboard. A directional all-mountain Artist Edition Lobster board with Freestyle 3BT technology. Pimped out freestyle all mountain board that's built for the big guys! FeelBetter than ever with your riding with catch free progressional tech. Triple base snowboard that will help any rider to progress in the park. A soft flexing freestyle board that dominates in the park and on the streets. Fun & friendly freestyle snowboard that excels at jib, park and street riding. The Love Powder is a true piece of magic, for those who love the pow.